We pride ourselves on the speed and completeness at which we are able to fulfill orders. This is a quality that marks us out in the industry and an aspect of our service that our customers place great value on. For our retail customers we understand the fine balance between having adequate stock levels, whilst at the same time not having too much which can tie up money and restrict the cash flow of the business. Because we keep a fully stocked warehouse of all our listed stock lines throughout the year, and guarantee orders within the UK to be sent out for next day delivery, our customers have complete confidence in us. This gives them peace of mind knowing that they can source the products they require in one place, and also receive them very promptly. We owe our ability to provide such efficiency to our technology and our people. Our IT systems are among the most advanced in the industry and ensure stock levels are constantly monitored and replenished meaning we are always able to meet demand. 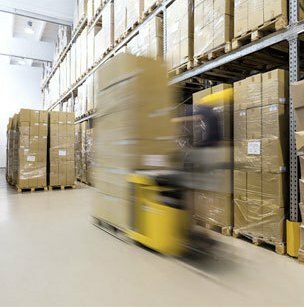 Our sales and warehouse teams provide the friendly and obliging human points of contact which make dealing with us an enjoyable, stress-free and satisfying experience. To fulfill orders during the run up to Christmas we plan well ahead ensuring that our stock levels are adequate to cover increased demand. We also bolster our sales and warehouse teams making sure that all orders are received, processed and dispatched as efficiently as at any other time of the year.